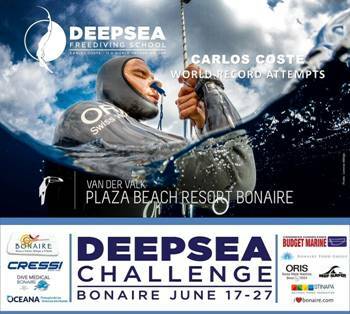 June 21 (Sunday): World Record Attempt #1 by Carlos Coste Stayed at +/- 70 meters as safety diver for Carlos’ attempt to break the world record VWT-free diving. He did not succeed on this first attempt, but still did a formidable 123 meters. 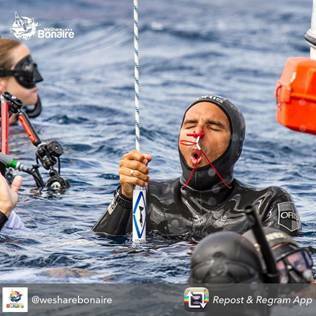 TCB-LA would like to thank Carlos for selecting Bonaire as the ideal location to break a new World Freediving World records. Additional information on Carlos’ results will be presented in the next edition of Entre Nous.